Just wanted to make public my gratitude with Infomentum for letting me be part of that amazing company and to the Directors for their mentorship, it was great to see the company grow and to have the opportunity to meet awesome and talented people. I start a new chapter in my professional career and have to press pause to Oracle and open space to MuleSoft where I’ll be facing new challenges and gaining some new skills to keep advancing in my professional career. 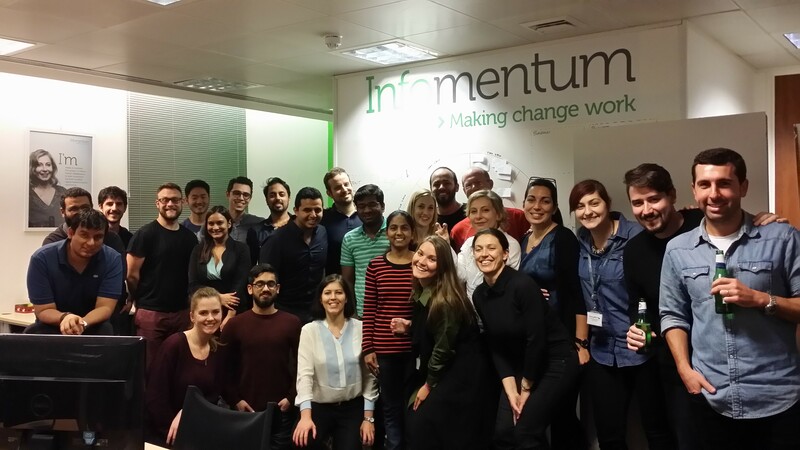 I need to say that Infomentum is one of the best Oracle Middleware Partners in UK, and if you don’t believe me, just have a look to their brilliant projects and to the people’s profile. Note: I left a goodbye present, they are the first Oracle partner to have a proper Docker Container for Oracle WebCenter Portal 12c, not a jsk in a container a proper container. I’ll explain in a following post.